Why is it that when a man says to his wife on holiday – ‘I’m just going for a couple of beers’, the lady thinks the man actually means TWO beers? We don’t mean it; it’s just a figure of speech ladies. When we say ‘A couple of beers,’ what we actually mean is loads and loads of beers! Can we just sort this one out straight away in order for there to be no misunderstandings during the holiday? It’s no different really from a lady saying ‘I’m just going to have a wander around the shops for ten minutes’. What that really means is two hours - at least! You see, you ladies are no better than us men when it comes to doing the things you want to do but daren’t say it properly! Now here’s a funny thing. When you are within your own surroundings in the UK your accent means nothing at all because everyone around you speaks the same way. When you go on holiday however, you are mixing with people from every different corner of the UK. They sound completely different to you. On the other hand, you sound completely different to them. 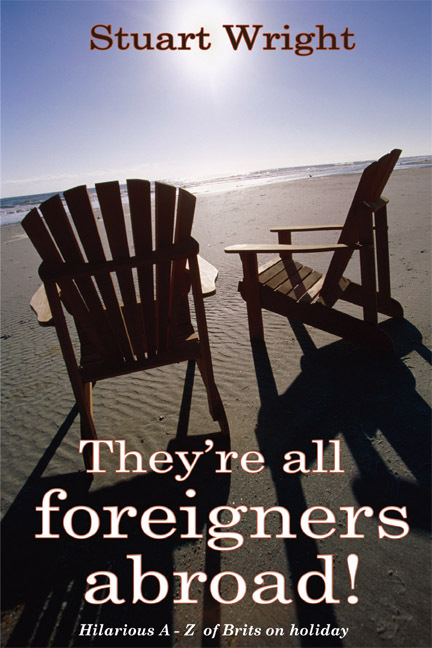 You’re not amongst your own now and you probably sound totally stupid to most of your fellow holiday makers. If you have a strong accent you won’t realize it, but just observe some of the looks you get from other holiday makers. You will also get people saying ‘No’ to you when you expected them to say ‘Yes’, and vice versa. The reason for this is that the person concerned won’t have a clue what you’re talking about and rather than asking you to repeat the question for a sixth time, they will play safe. Yes or no? They know they have a fifty fifty chance of getting it right and just take a stab, ‘Er, er - - - Yes’. You then give them a confused look and all they now have to say is ‘I mean no’. You are now happy that they have answered you correctly but for all they know, you could have been asking if chocolate is made from grass!